WOW! Women On Writing Blog: Always on the Sunny Side ? Always on the Sunny Side ? The title of this post is misleading because even the most optimistic of individuals is not able to stay on the "Sunny Side" all the time. As we read about people dying, devastating weather, staggering statistics about joblessness, etc... it's only natural to feel further away from the sun and a bit closer to the darkness. Please note the question mark in today's title. Do you ever feel pressured to be the fixer? Do friends and family expect you to arrive with a smile, a plate of cookies, and a solution for all the world's problems? If you find yourself in the role described above, in addition to a fabulous chocolate chip cookie recipe which you can find on my blog coincidentally, you'll also need a way to deal with the dark feelings you are undoubtedly hiding from the world. I wish I had the answer for everyone, but this is more of a sharing of ideas and less of a how to/self help post. I stress clean and then once everything is clean, I bake - which is great because then I have the cookies....but sometimes even the baking isn't enough. Something that's really helped me has been journaling. I don't feel comfortable burdening others with my worries, but somehow if I get them down on paper I feel unburdened and ready to toss on a smile while I deliver some cookies. When is comes to journaling, there is no one who seems to know the ins and outs better than Mari McCarthy at CreateWriteNow and I am blessed to call her a friend. 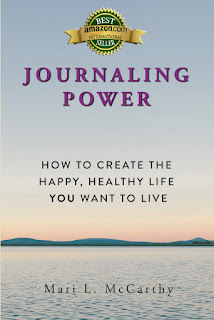 For over 20 years Mari has used the healing power of transformative journaling to improve her health, generate business success, and create the happy and healthy life she wanted to live. 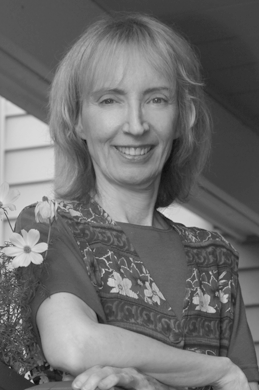 Mari is a world-renowned mentor and Int’l award-winning bestselling author. How has journaling helped you find the "sun"? What tools do you find helpful in staying upbeat? If you don't journal - what's holding you back? It wasn’t easy for me. I had to learn to write with my left hand. But I dedicated myself to daily ACTION and began a journaling practice known as Morning Pages. I never could have anticipated how powerful and effective this process would become. As I continued my writing practice, my MS symptoms improved. But, more important, I discovered, uncovered, and recovered my True Self and even tapped into talents I never knew I had. Best of all, I have developed a compassionate relationship with myself and an inner serenity. I started CreateWriteNow to share my methods, expertise and passion for Therapeutic Journaling to people across the globe who want to address their challenges in life and thrive. Thank you for sharing your soul with us Crystal! Will share your article far and wide. And thank you for being an awesome publicity agent for Journaling for the Health of It. #JustWriteON! This is beautiful Crystal! I am of the mind to journal as well (after I do my usual to-dos when stressed and sad and that usually includes scrolling through Facebook and Instagram which I'm sure leads me to more misery). I love the music from the 70s for that same reason because it's music that touches the soul and journaling does too! Great post! What Kind of Conference Attendee Are You?